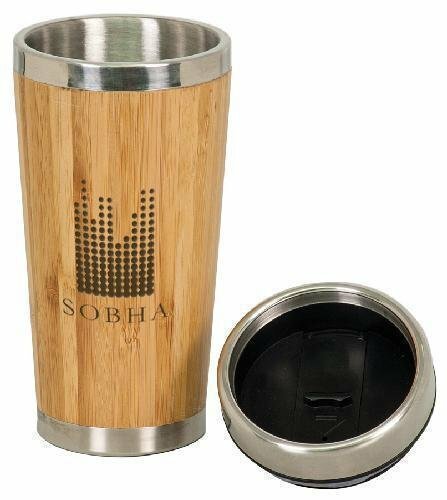 Made of stainless steel with a bamboo coating, this attractive 12.8oz travel mug is a green alternative for your gift and promotional items. 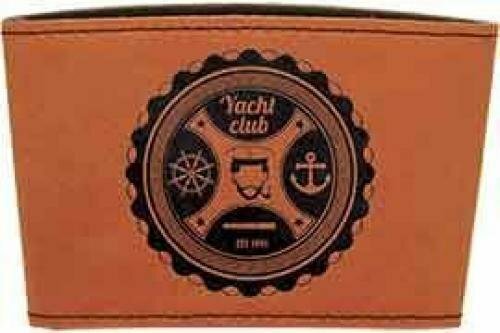 The mug is designed to keep liquids hot or cold for extended periods of time and has a screw on lid. 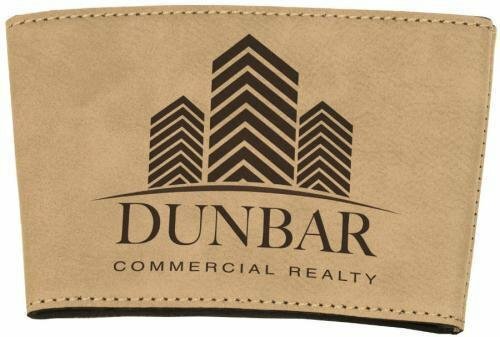 Add the name of your event, a monogram, or your company logo, it makes a great incentive or personalized gift. 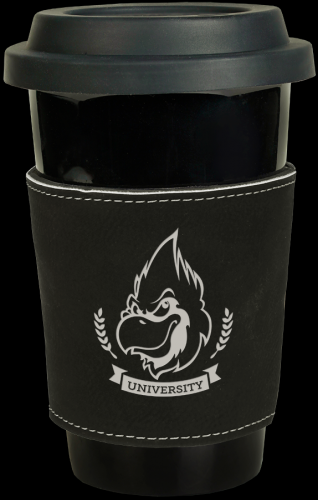 This conveniently sized 10 oz black tumbler features double wall vacuum insulation for 2X the heat and cold retention of a regular travel mug. The mug comes with a a clear lid and is BPA free. 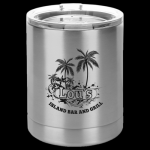 Personalized with a logo, monogram or other graphics, this awesome tumbler makes a great incentive, promotional item or personalized gift. 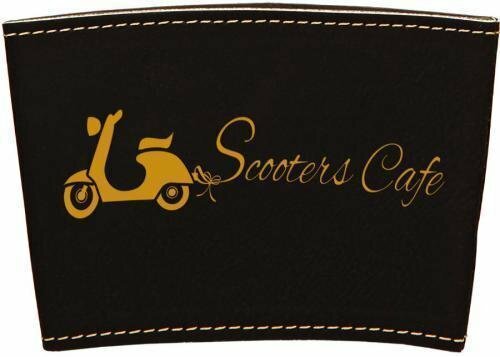 Enjoy your favorite hot latte and protect your hands with this clever Leatherette latte mug sleeve. 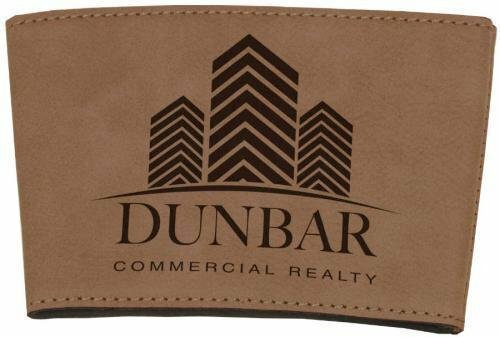 This durable sleeve has the look and feel of leather at a much lower price point, and can be personalized with your logo or other graphics in silver for a great promotional item or personalized gift. 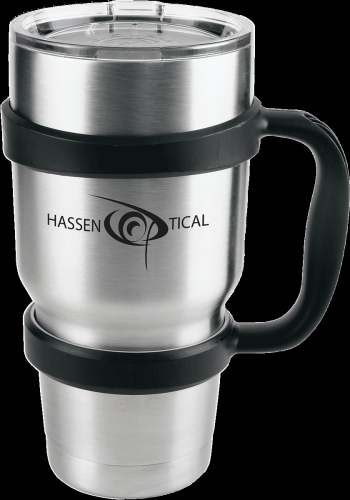 This conveniently sized 10 oz tumbler features double wall vacuum insulation for 2X the heat and cold retention of a regular travel mug. 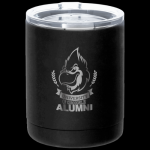 The mug comes with a clear lid and is BPA free. Personalized with a logo, monogram or other graphics, this awesome tumbler makes a great incentive, promotional item or personalized gift.